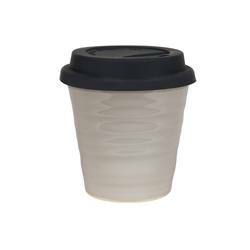 Help save the planet one coffee at a time by using our gorgeous reusable carousel cups. Made from high fired stoneware and glazed to order in Australia, you will fall in love with our cups to carry your coffee in. 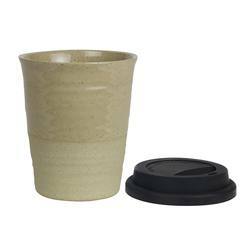 Each cup has a white or black silicone lid. Each cup is made by hand and no two pieces are exactly alike due to the unique reactive glaze.